Our Tiny Ghost Lily has been with us for about three years. It always produces lots of red/burgundy flowers and it is propagating nicely. The area where our plant is growing is getting a little crowded because more new lilies are growing, and one of the recommendations is to divide them. Lilies need to be divided and transplanted. In our case it looks like this needs to be done every three years. 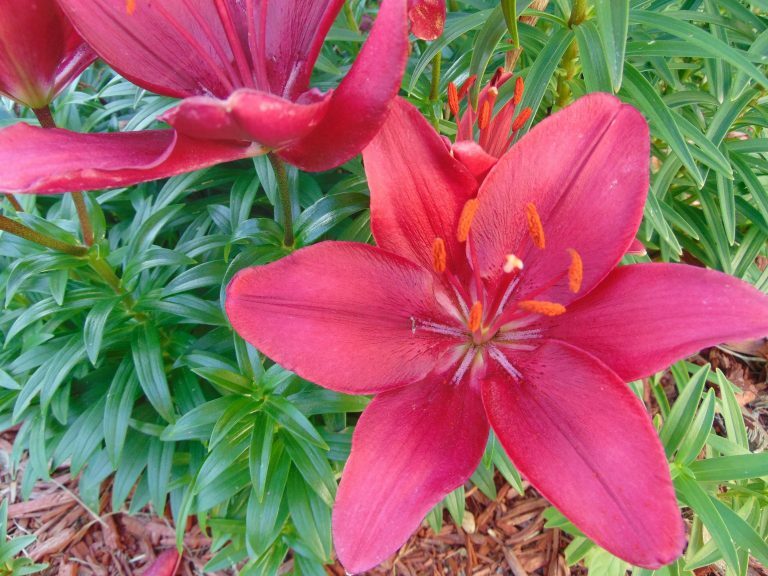 Dividing lilies can be done after the flowers have fallen during late summer or early fall. We are also growing other varieties of lilies. Check out our garden inventory for more.